Do you need a removal van for your move? Before making a choice, one of the most important things to consider when thinking of hiring a van is whether the vehicle is large enough to carry your belongings. Continue reading to learn more about the different types of vans in detail. Rental vans and man with a van services are usually quoted in hourly or daily rates. It is important to note that most companies impose a 2 hour minimum charge for the removal van and have further charges by half hour increments after the 2 hours is exceeded. 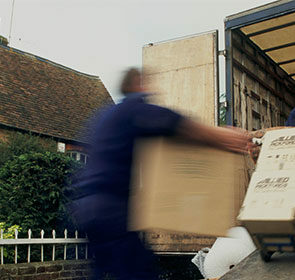 Some companies offer fixed price rates, usually for larger, long-distance removals. If you prefer fixed prices to avoid higher costs incurred due to unexpected delays, it is a good idea to ask the moving company. Also, there are additional costs depending on the level of extra services you require. If you want to know exact moving van rental costs, or the price for hiring movers to help you, fill out the quote request form. We connect you with up to 6 removal companies in your area. Comparing various prices allows you to see the best provider for your moving situation. This request is free, takes only 1 minute, and if you do not find an estimate that satisfies your needs, you are free to decline the offers. Both large removal companies and man with a van operations, in which 1 or more movers help with various tasks, use moving vans. Although both of these companies are capable in handling removals, they differ in their capacities and level of service. Are you moving out of a 1-bedroom flat and looking for a cheap way to transport your belongings and furniture? Then hiring a man with a van company is the perfect solution for you. 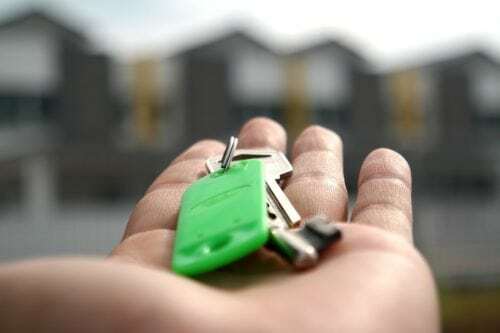 For your larger moves, such as those involving a 4-bedroom home, removal companies are more suitable. Of course, man with a van operations are able to handle large moves as well. However, the loading and transport times are usually much longer due to smaller vans and less manpower. Alternatively, you may rent a van and move all of your belongings by yourself. From a small-scale furniture removal, to larger full house removals, vans are able to accommodate any moving project. The Luton lorry is the largest van you can get for your removal. With a capacity of 27 m3, it can be used for moving a 4 room flat or a medium house, including boxes and furniture. This is a good option for a 3+ person family. This type of van is the most common one used for removals. With a capacity of 15 m3 and its box shape, it is ideal for the transport of several boxed items and few large pieces of furniture. It can fit the contents of a small house, including a bed, a table, and all the moving boxes. The long wheel base is a small van with around 10 to 15 m3 of space inside. The smaller size is ideal for boxes and few pieces of furniture. The larger size, instead, is suitable for multiple pieces of furniture as well as the contents of a two-person flat. Finally, the medium wheel base vehicle, such as the Mercedes Sprinter, is the smallest of the removal vans, with a carrying capacity of 7 to 10 m3. Because of its relatively smaller size, these type of vans are perfect for moving a only few boxes or a piece of small furniture. A man with a van owner knows best. The movers know how to safely load your belongings and ensure they will arrive at your destination as quickly as possible. After inspecting your possessions, the professional mover will know how everything will fit into the van. Removal specialists will do the hard work for you. Loading and unloading your items is a tiring endeavour, something that you as a new homeowner should not have to deal with. Leave the heavy lifting to movers and you will have a pleasant moving experience. Moving vans are inexpensive and fast. A moving van is a cost-effective method for handling smaller furniture articles or a 1 to 2 person flat. Van pickup and drop off: Depending on your location, the travel time to pick up the van can be considerably long, with the associated diesel costs. 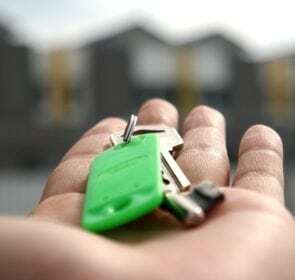 Also, if you are moving to a new city, you will have to either drive the van back to the original location or find a company that offers one-way rentals, adding to more transport costs. Lengthy paperwork and large deposit: A moving van rental involves many papers as well as paying a deposit in case of any damage to the vehicle. Difficulty driving a larger vehicle: Driving a larger van can be difficult especially on unfamiliar, busy city roads. Also, if you rent the Luton lorry, some areas require special licenses to operate. 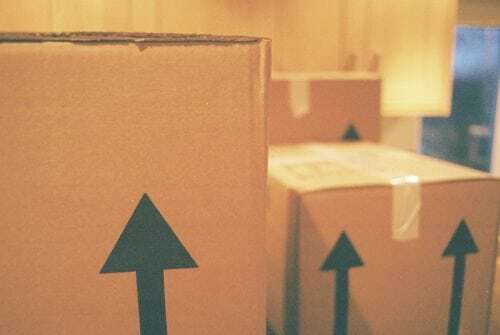 Longer moving times: Conducting the move by yourself is significantly slower than having the assistance of professional movers, even with the help of friends and family. You also run the risk of injuring yourself or damaging your prized possessions due to inexperience, improper loading, and insufficient protection. After including these points, conducting a move by yourself often costs more than hiring a man and van company. For large moves, renting a van on your own often has no real price advantage. Moving from a larger house? In need of a more comprehensive level of service for a large move? Then removal companies, with their ability to take care of everything from packing and loading to disassembly and cleaning, are a more appropriate solution. Removal companies differ from normal man with a van operations in that they are better suited for large, long-distance moves such as a 3 to 4-bedroom house. Additionally, with higher capacity vans, transferring your items to your new home will only require 1 trip. A removal van is incredibly useful when transporting your valuables from A to B. 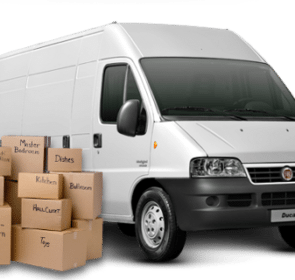 With their varying sizes, vans are able to move any amount of items ranging from just a few boxes to the contents of your whole home. To reap the benefits of removal vans, the next step is to find the exact cost of hiring a van. Request free and non-binding offers from removal van service providers in your area. Compare up to 6 companies and you will quickly find the offer with the best value.